Apple has several hundred employees secretly working on creating an electric vehicle, reported the Wall Street Journal on Friday, citing people familiar with the company’s plans. Code-named Titan, the project currently sports the design of a minivan. According to the Journal, Apple CEO Tim Cook approved the project about a year ago, putting product design Vice President Steve Zadesky in charge. A former Ford engineer, Zadesky has been a long time Apple employee who helped create the iPod and later the iPhone. Zadesky is said to have created a team strong of 1,000 people, which tends to prove that Apple is serious about the project, rather than considering this electric car a hobby. But of course, until we get an official confirmation from Apple, project Titan remains just this: a project that may or may not see the light of day. Besides, the technology developed for the project could very well be used for other products (think batteries, a technology in real need of a breakthrough). 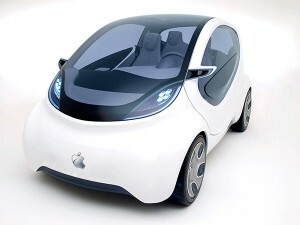 Either way, if Apple decided to go ahead with Project Titan, it would probably take years for an actual car to go into production. This report comes a few hours after the Financial Times published a similar story earlier today, claiming that Apple had hired former President and CEO of Mercedes-Benz Research & Development Johann Jungwirth, a report that has now been corroborated by the Wall Street Journal. The rumors of Apple working on a car project started last week when mysterious vans equipped with cameras spotted around the country had Apple’s name attached to them. Two days later, Tesla CEO Elon Musk said in an interview Apple was trying really hard to hire employees away from his company. It’s now easier to connect the dots. Note the image attached is a concept and doesn’t reflect Apple’s design, if the company is indeed working on such a project.